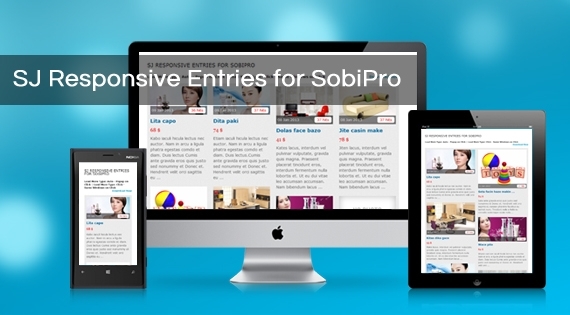 SJ Responsive Entries for SobiPro is made for SobiPro directory component, and being a responsive module for Joomla!, it is compatible with your responsive websites directory and all device screen sizes. Being with ability to auto load or load by click, this module can show entries under grid with infinitive scrolling. Pop up window is also integrated with cool animation. Getting images from external location is also available if you want to showcase non-image entries.